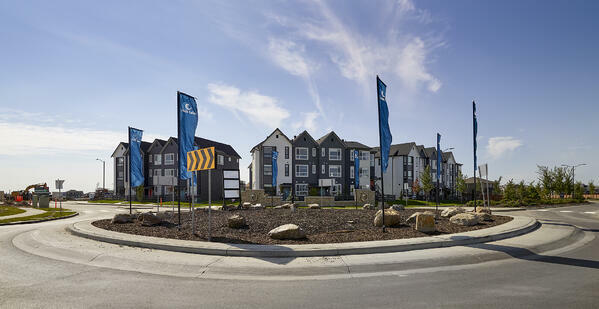 Welcome to beautiful Jensen Lakes: St. Albert’s first beach community! Jensen Lakes is a master-planned neighbourhood that blends beachside living with urban convenience. Here, you can enjoy 40 acres of parks, ponds, and open spaces; walk 5 kilometers of carefully planned residential pathways; and enjoy a day at the lake – no matter the time of year. St. Albert’s beach community has homes for families at every stage of life. Live life at the beach in a luxury duplex home in Jensen Lakes nearby sunny Jubilation Beach, Jensen Lakes Crossing, and with easy access to the rest of the city. Jensen Lakes provides lakeside living that is minutes away from every amenity. Two Kindergarten to Grade 9 schools: Sister Alphonse Academy and Joseph M. Demko, are nearby your new home, with the Jensen Lakes Crossing shopping destination minutes away. Jensen Lakes Crossing hosts establishments such as The Canadian Brewhouse, Brown’s Socialhouse, Landmark Cinemas, BarBurrito, and Clear Dental. Jensen Lakes Crossing has 17 acres of development area that will feature a variety of commercial shopping destinations with nearby access to other retailers like Costco, Walmart, Home Depot, Rona, and Save-On-Foods. Jensen Lakes Crossing is the perfect spot for a night out. 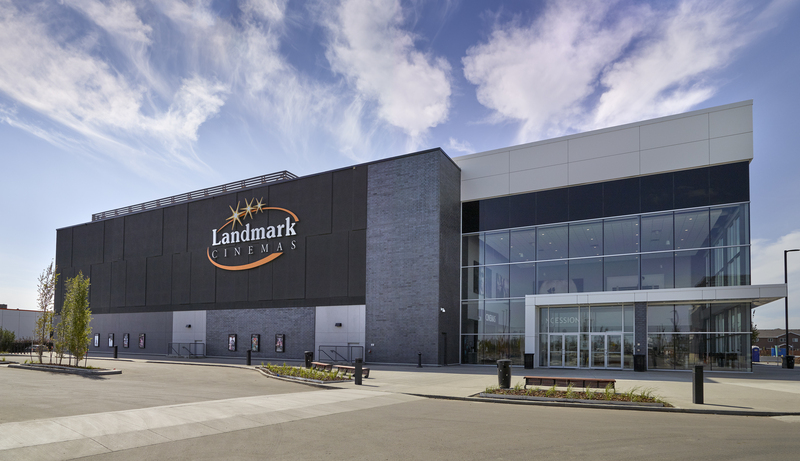 Catch a movie in St. Albert’s luxury recliner seat theatre, then grab a drink and a bite to eat at one of the nearby restaurants. 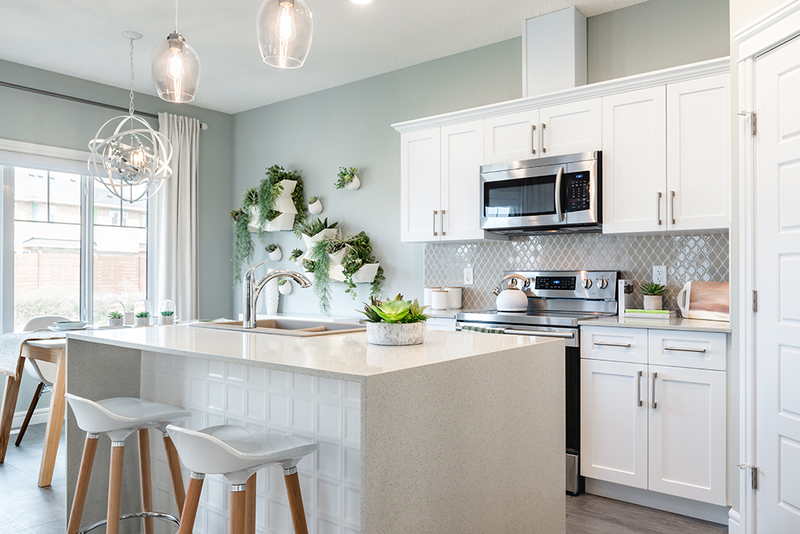 No matter what your perfect day looks like, Jensen Lakes Crossing and the other nearby destinations in St. Albert are the perfect way to spend the day. Jubilation Beach is a sandy escape that is steps away from your front door and includes over 100,000 square feet of pristine sand, a boardwalk, and activity spaces. The community Beach Club features a playground, tennis courts, picnic areas, and year-round recreation with maintained skating and hockey areas in the winter months. Enjoy a beach swimming area, dock, and private beach club access with a membership card. Jubilation beach will be a community hub in Jensen Lakes with summer and winter activities such as fishing in the stocked lake, lounging by the beach, and access to a number of sports and activities. Paddleboating, kayaking, basketball, volleyball, tennis, scuba diving, and pickleball are just some of the activities available for residents of all ages. The Jubilation Beach Club is a planned 7,500 sq. ft. shared space that will include change rooms, washrooms, equipment rentals, a concession stand, and rental space. The Beach Club will offer a variety of free community events and programs for children and adults of any age including yoga, karate, dance, arts and crafts, swimming lessons, paint classes, movies, and beach day parties. Jubilation beach and the Beach Club are the best places to spend time with friends and family during the weekends. 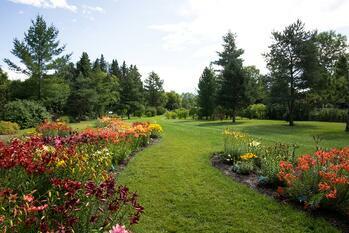 Nestled northwest of Edmonton, the City of St. Albert is known for its botanical arts and the surrounding natural beauty. To the west of St. Albert is Lois Hole Centennial Provincial Park. Situated on the shores of Big Lake, the provincial park is a calming retreat known for the many bird species that call the wetlands home. St. Albert is also home to Alberta’s largest public rose garden in the Botanic Park, the weekly St. Albert Farmer’s Market, the Enjoy Centre, Hole’s Greenhouse, and the 85 kilometer Red Willow trail system that spans the city. The City of St. Albert is just minutes away from northwest Edmonton with direct access to Anthony Henday Drive and Yellowhead Trail by way of Highway 2. Any location in the city of Edmonton is easily accessible from St. Albert. The St. Albert Transit system offers local and commuter bus service every day of the week. Popular destinations in Edmonton such as Kingsway Mall, Downtown Edmonton, NAIT, Government Centre, and West Edmonton Mall are all serviced by St. Albert Transit. The transit service also offers accessible riding options such as kneeling busses with no stairs. Pacesetter Homes has two show homes in Jensen Lakes: the Lazzaro and Lusitano models. Both show homes offer front attached garage, spacious and functional floor plans, and fully finished basements. The Lazzaro is a spacious 1460 sq. ft. home created for lakeside living. As you step inside, the beauty of the outdoors follows. Lazzaro’s bright windows, green accents, and pristine furnishings create a living space that is fresh and peaceful. Tranquility is everything in this half duplex, with an open concept main floor, cozy upper level, and fully developed basement. On the main floor, a living wall greenery feature, a beautiful quartz waterfall edge island, and the nearby great room creates a space that is perfect for coming together. The fully finished basement features a home gym and yoga area – perfect for morning stretching before heading to the beach. The Lusitano is your own 1641 sq. ft. personal paradise. As you walk through the front door, the warm vinyl plank flooring carries you into the open concept living area. Large windows, a cozy eating nook, and an unforgettable kitchen with a walk-through pantry, full tile backsplash, quartz countertops, and full height navy cabinetry with gold hardware leaves a lasting impression. Downstairs, the fully finished basement features a minibar, 3-piece bathroom, and rec room that culminates in the perfect entertaining space. Upstairs, your personal retreat awaits with a vaulted ceiling in the owner’s suite, a walk-in closet in the ensuite, and two additional bedrooms. Lusitano is the perfect half duplex for families and entertainers alike. 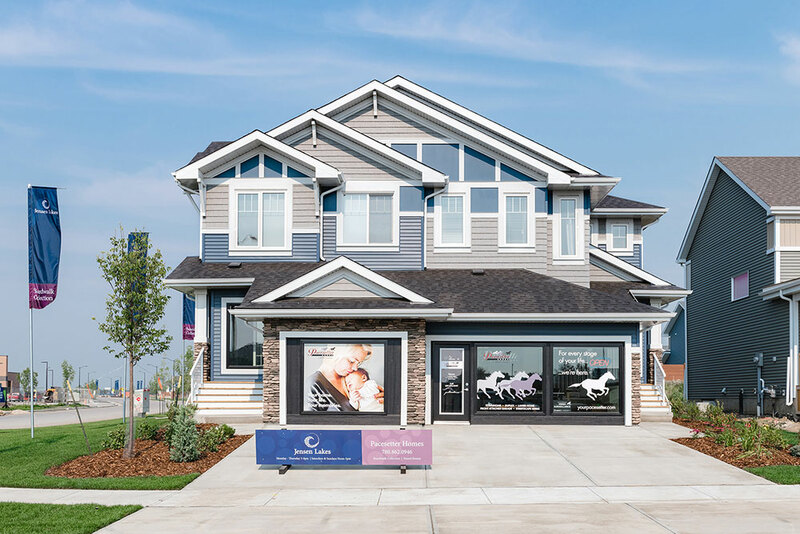 Paired homes such as our Lusitano and Lazzaro duplex are perfect for downsizers looking for affordable luxury, first-time buyers, or homeowners looking to set up an income property. Even if you aren’t looking to build your own home, there are a number of Quick Possession homes in Jensen Lakes that can be customized with your preferred finishes. Quick Possession homes are great if you want a brand new home, but don’t want to wait to move in. 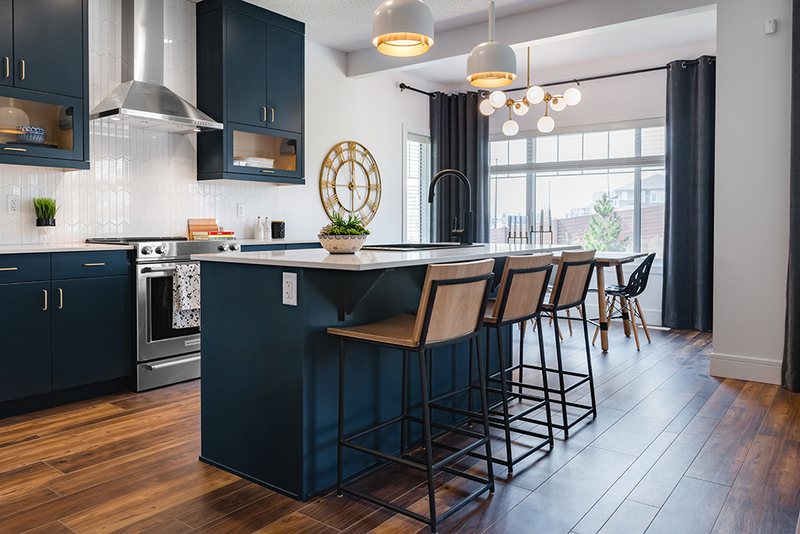 If you are downsizing, a Quick Possession home might be the best choice if you’re hoping to take advantage of a spring or summer move-in date, and our Quick Possession homes are included with high-end finishes as a standard. St. Albert’s first beach community is waiting for you. Come and see what lakeside living could look like for your family. Whether you are looking to downsize or want to generate rental income, our duplex options in Jensen Lakes provide the convenience of a planned community and the comfort of life at the beach.